We all know that Skyrim won a zillion Game Of The Year awards so it might seem petty to talk about ways that the developers could have improved the game but so many of the complaints in the forums could have been easily avoided that it makes you wonder what the developers were thinking when they were designing the game. In this article I'm going to pick 10 simple fixes that would have improved the game for many players. All of these are easy fixes that would have required little time and effort on Bethesda's part (no massive overhauls or gameplay changes) and in fact their absence seems like more of an oversight or a failure to properly identify the needs of their audience than a consequence of time or budget constraints. I love Skyrim's art direction. It's grim, it's gritty, and for once, the character's look like real people. But I, along with many other players, don't understand why I can't make a non-Nord character that looks like they're under 30. 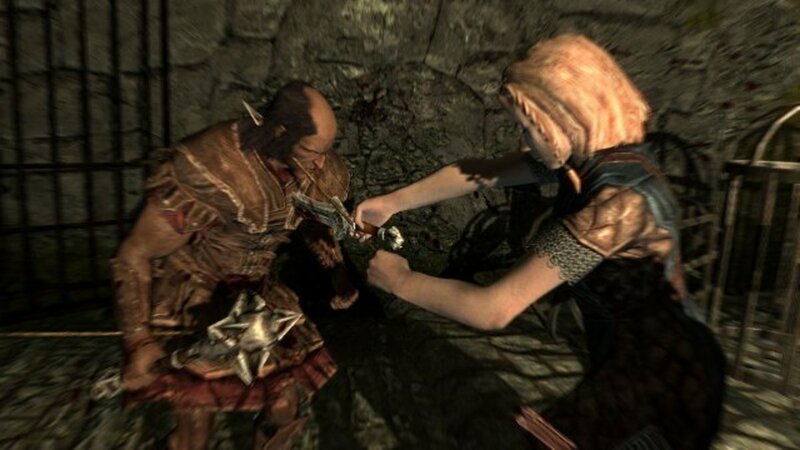 There's a reason why 'who's the hottest character in Skyrim' debates end up sending 90% of the votes to Nords; it's not because they have superior bone structure or personalities, it's because they are the only race that offers a wrinkle-free appearance. I spend a lot of time helping people create attractive characters they can live with and more than half of the complaints revolve around wrinkles. Heads up, Bethesda, young people look like real people, too. 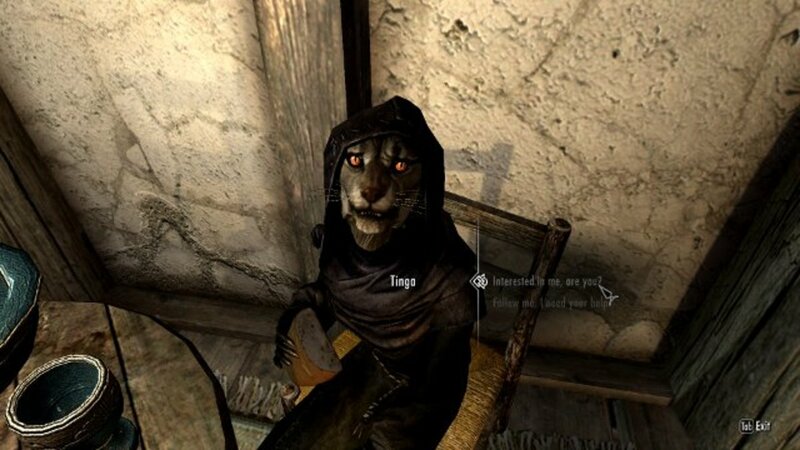 Considering how many Skyrim players are in the 17-30 age range, it seems odd that the developers haven't given them the ability to create a character they can really identify with. Of course, the problems aren't restricted to skin textures. 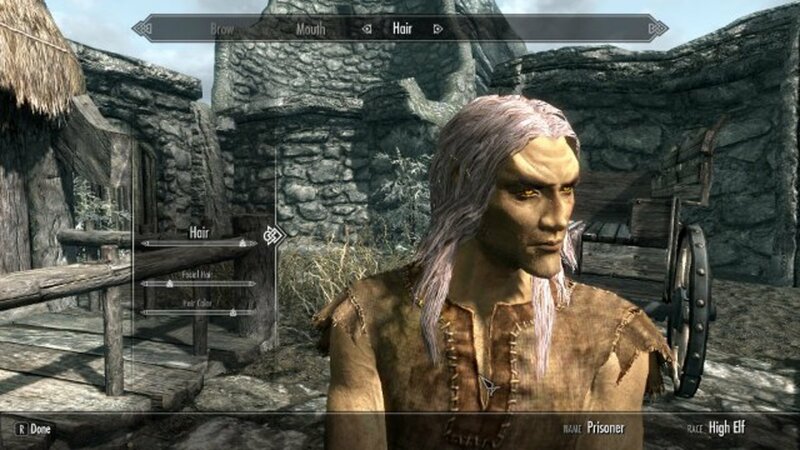 The character creator also imposes serious limits on your ability to shape the character's face to your liking. (Ever try to create an elf that doesn't have an enormous chin?) It's fine to have an aesthetic for your game, and as a developer you can ensure that all of your NPCs adhere to it. But don't make it hard for players to create an attractive male elf. Easy fix: The character generation screen already allows you to choose a more wrinkled option. How about an option to choose a less wrinkled appearance? This would require the addition of a less wrinkled face texture for each race. While you're in there, increase the amount of control players have over the face morphs. A little more control over the chins and brows of elves and the ability to widen the face a little would satisfy most players. 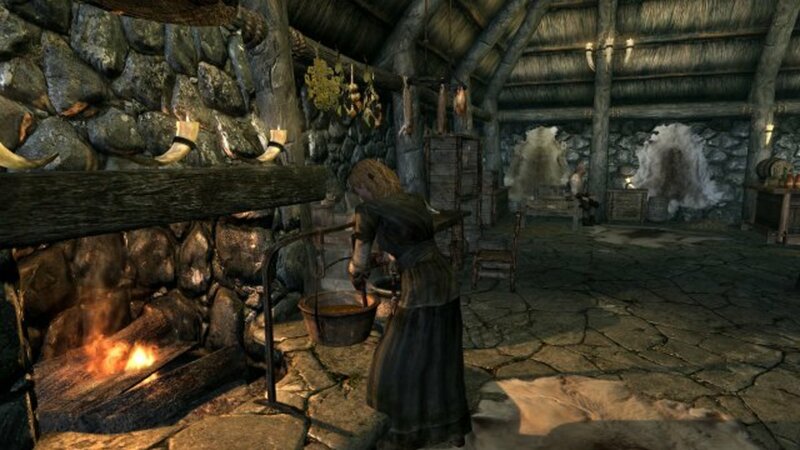 I'm not going to talk about how shallow marriage in Skyrim is. That doesn't fall under the 'easy fix' category because improving the quality of the marriage experience would involve, at a minimum, new quests, scripts, dialogue, and voice acting. The part that can easily be fixed is the number of available partners. Skyrim has 10 playable races. That means there should be at minimum 20 different marriage options (one for each gender of each race). As it stands, you cannot marry a Wood Elf or a Khajiit in Skyrim. At all. You also can't marry a Redguard or High Elf male. That's 6 out of 20, or 30% of the available options that just aren't available. From the remaining options, there is only one Argonian, one Redguard, and one High Elf female, so you don't really have any choice of partner if you want to marry one of these races. In an interview, Todd Howard said that he didn't want to make horses too important because they would draw attention away from the important parts of the game. So, to avoid the possibility that players might actually use a horse for something (who uses horses in fantasy worlds anyway, am I right?) they made them worse than useless. I'm not asking for mounted combat (after all, I wouldn't want to try to fight from horseback on Skyrim's icy slopes) but would it have been too much trouble to give players the option to load up their horses with loot? All creatures and NPCs are already containers that you can store things in, all it would have required is for them to give players access to the horse's container (while it is still alive) and impose a limit on how much the horse can carry. You can already do that with followers. In Skyrim, therefore, you can use a follower as a pack horse, or store your loot in a dead horse, but you can't put a saddlebag on a horse and use it to carry loot. In other words, you can do things that you shouldn't be able to do, but not things you should be able to do. The result is that players now spend more time complaining about horses than appreciating the important parts of the game. That's what we call a backfire, Mr. Howard. Easy fix: Allow players to use horses to carry loot. A simple dialogue interface like the one you use for talking to a follower would have been sufficient. And while I'm on the subject of horses: first person camera anyone? I don't think allowing the player to reposition the camera would have been too much to ask. One of the things that has always bugged me about magic in the Elder Scrolls is how quickly many spells become completely worthless. 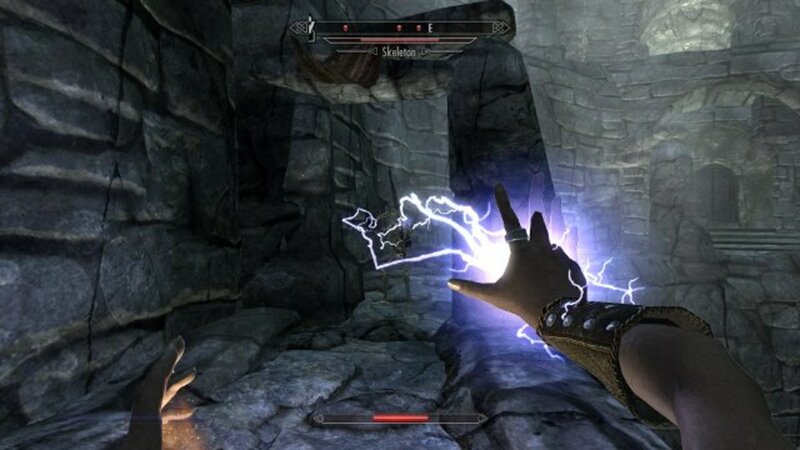 That's damaging in a game like Skyrim that places so much emphasis on magic but has so few spells to choose from. Take Fury, for example. It's a great low level spell, but rapidly becomes useless as enemies quickly out-level the spell. I know that there are higher level spells to replace Fury (Frenzy works on enemies up to level 14, for example) but I'd love a system where all spells derive some benefit from your skill level. It doesn't have to be much, but that little bit of benefit can make you feel like even your lower level spells have some sort of utility even at high levels. If Fury affected one additional level for every 12 levels you had in Illusion and started by affecting enemies up to level 5, then at an Illusion skill of 15 (the minimum) it would affect up to level 6 (as it currently does), at skill level 24 it would affect up to level 7 (a little boost to reflect your growing proficiency with the spell), and by the time your Illusion skill reaches 96 it would affect up to level 13...right up to where the next higher order of spell starts. As Fury is much cheaper to cast than Frenzy, it becomes more desirable in the right circumstances. The point is not to make spell-casters more powerful (though I don't think it would hurt) but to add another dimension to the player's feeling of progression while simultaneously validating their earlier choices and giving them a broader range of options when planning their strategy. Those low level spells won't feel entirely useless, like so much dead weight cluttering your spellbook, if they continue to get better, even if it is only by a small amount. It also reflects an important RP element: the fact that a powerful Illusionist is just going to produce better results from a low-level spell than a novice. And that's satisfying. Easy fix: Add a multiplier to each spell effect to increase its magnitude based on the player's skill level. 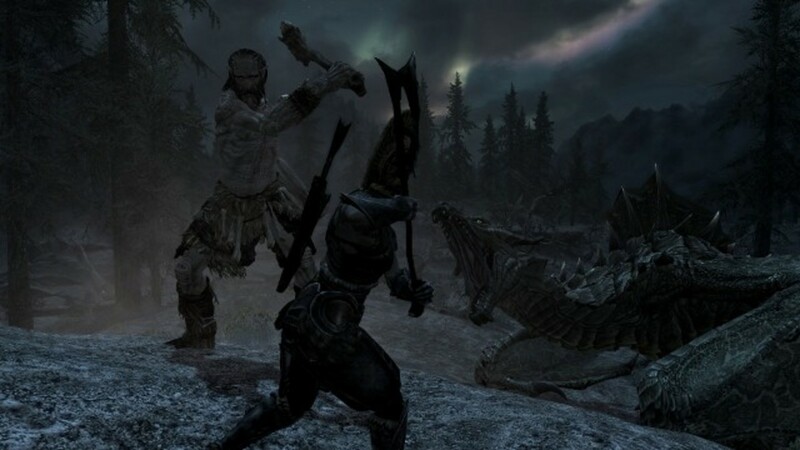 This one has been discussed at length in the forums and seems to be the one thing that most players agree on: dragons in Skyrim are pushovers. Part of the problem, of course, is the AI: they are too predictable. I don't have a problem with the AI myself: I understand that it isn't easy to design good AI for a flying creature that has to navigate very uneven terrain to find players hiding behind rocks. I just don't feel anything special when I kill them, in spite of the epic music and visuals that accompany my victory. I never really feel like my victory was earned. And it's because they're just too damn easy to kill. The first time I killed that frost troll, I was ecstatic. The first time I killed a dragon I was: "That's it?" Easy fix: Make dragons a little tougher: increase their Health, make them do more damage, or make them a little faster. Better yet, make different varieties that have different strengths. These are purely stat tweaks. A trivial fix. When I first heard that Fallout: New Vegas had a hardcode mode I was in heaven: finally, game companies were starting to take hard-core RPers seriously. It seemed like the dawn of a new era. Then Skyrim came out. I felt like Charlie Brown: I hung my head and heard sad music in the background. 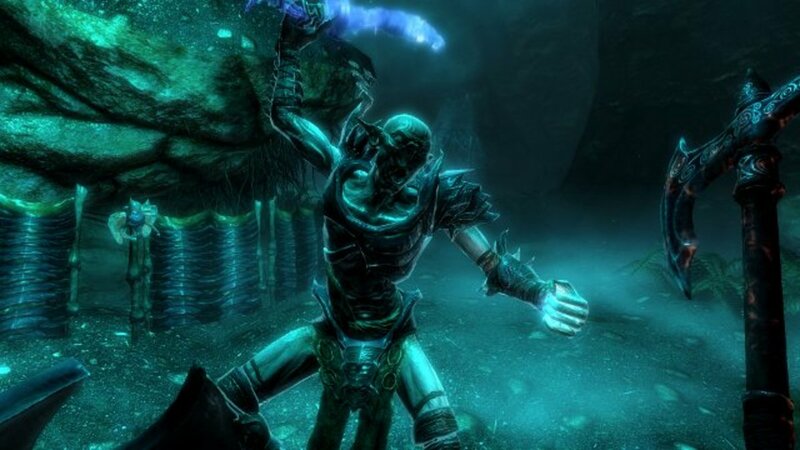 Seriously, would it have been difficult to include a hard-core mode in Skyrim for, you know, the thousands of hard-core Elder Scrolls fans who have been playing the games (and getting better and better at them) for years? Because choosing hard-core mode is optional, it wouldn't have any effect on casual players. It also could have made cooking a useful activity, since the quality of the benefit provided by food could have been tied directly to needs, rather than reducing food to a lame version of alchemy. Different meals could provide different benefits and offset different kinds of penalties. Easy fix: Add a hard-core mode that requires players to eat and sleep to avoid attribute penalties and change food effects to counter those penalties. We know it can be done: real needs mods are always among the first mods to be released. Developers go out of their way to make sure that their games are as well-balanced as they can be...but only for the 'average gamer'. What about players who fall too far to one side of the bell curve? In Where Did the Challenge Go? 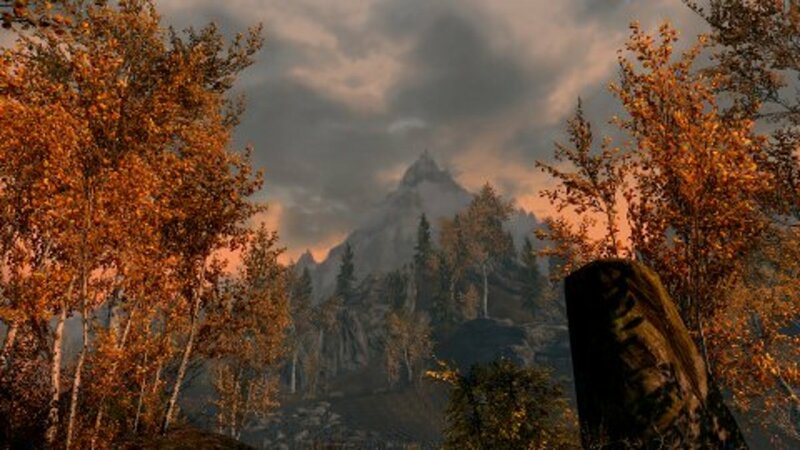 The Problem with Skyrim I talk about the impact that that narrow view of balance has on many gamers and elaborate on how a simple fix could resolve that problem. Difficulty sliders have always been lame in Bethesda games: they increase the amount of damage that enemies do and reduce the amount of damage that players do. Boring and uninspired. Also not good enough for seasoned players because it doesn't force the player to come up with new strategies. They could have made the difficulty sliders vastly more interesting (and difficult) by adding two additional multipliers: use the difficulty slider as a multiplier that artificially inflates (or deflates) the player's level when pulling enemies from leveled lists, and use it as a multiplier for determining how many enemies spawn. In other words: if the player pushes the slider up to a harder setting, you're not only increasing the amount of damage that enemies do, but also increasing the level of the enemies you encounter and the number of enemies that you encounter. No AI enhancements required. I guarantee you players will find mobs of higher level enemies more of a challenge. Easy fix: This kind of wizardry would require the addition of a simple modifier applied to leveled spawns and NPCs that level to players. Trivial. Talos knows people like to argue about the lockpicking mechanic in Skyrim. 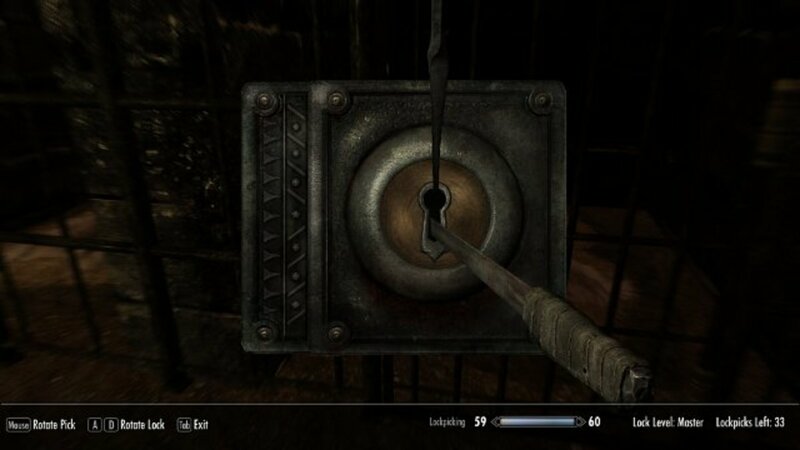 Any player with 50 hours of Bethesda games under their belt can pick even the hardest locks in Skyrim in relatively short order. Not good from a RP perspective, where most characters shouldn't be able to pick anything but a simple lock, but more damaging still to the new perk system: players shouldn't unanimously agree that a whole category of perks are essentially useless (specifically, the ones that make picking locks easier). 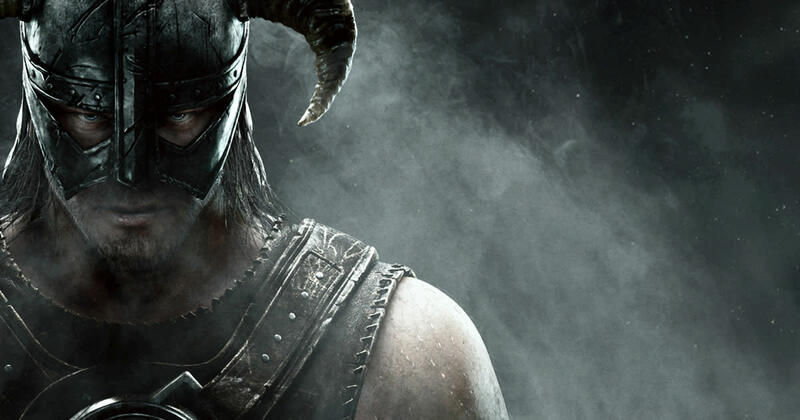 Like dragons, Bethesda doesn't want to exclude players from getting loot by making locks too hard to pick, but, like dragons, pretty much everyone feels that locks are too easy. Buck up and make them harder to pick. 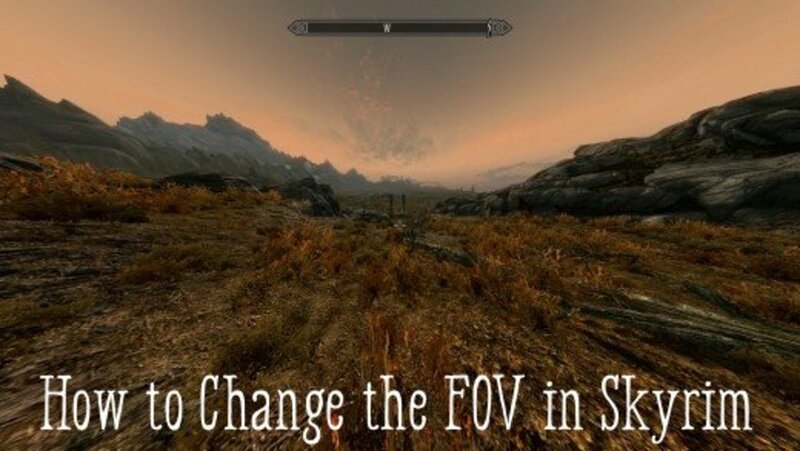 Then give players the auto-pick option back, like they had in Oblivion. That way, the players who enjoy picking locks can enjoy the challenge, and the players who want to RP a thief but don't like the tedium of picking locks can still enjoy playing a thief. Incidentally, this will have the added bonus of reducing complaints about gold being too easy to acquire. Once players overcome the initial shock of realizing that not every bit of gold in the game is easily acquired, they will enjoy the added challenge of leveling up their lockpicking skills. Easy fix: Adjust the lockpicking settings to make them harder to pick and put back the auto-pick option. Easy peasy. 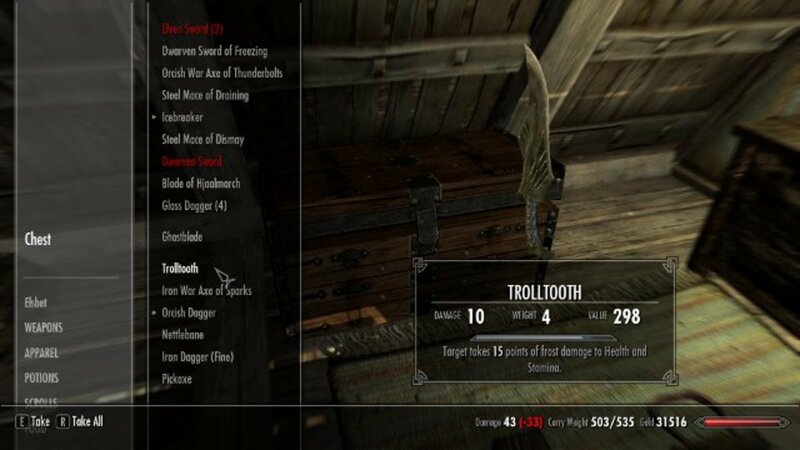 Probably the all-time favorite thing that Skyrim players like to complain about is how unbalanced crafting is. In this point, I'm only going to focus on Smithing, since it seems to be the worst offender. In a nutshell, you can essentially level up Smithing to the highest level, and provide your player with the best weapons and armor in the game, by buying up or gathering a pile of iron ingots and leather strips and hitting the craft button over and over again in the menu. Okay, that's a simplification, but it's not far off. In essence: there is no challenge to it, and it's easy to exploit and make your character unbeatable early in the game. Unbeatable = boring. Games shouldn't have mechanics that make them boring built right into them. I know you can always choose not to exploit this aspect of crafting (I don't) but the point is that there are countless ways to fix it and none of them were implemented. Here's an easy one: make the acquisition of a perk related to a material dependent on learning how to use the material. In other words, if you want to learn how to craft Orcish armor and weapons, force the player to learn that skill from an NPC or book. That gets them out of the smithy and into the world interacting with NPCs, completing quests for them, or delving in dungeons to look for manuals. This makes Smithing interesting and challenging in the same way that the other skills are interesting and challenging. With Alchemy, you have to figure out what the ingredients do. With Enchanting, you have to take magic items apart and figure out how they work. With Smithing, all you have to do is go to the store and buy some ingots and leather strips. Easy fix: Add a condition to the perks that requires the player to complete a quest objective: "Learn how to use the material." This quest objective could be satisfied via a real quest with an NPC, or by adding 'blueprints' or molds to the game that satisfy this requirement. I'm not going to debate the relative merits of having quest markers and fast travel in a RPG. But I am going to question the wisdom of having a journal mechanic that is terse to the point of being useless. A lot of RPers don't like fast travel or quest markers, but Skyrim's journal pretty much forces you to turn quest markers on and refer to your map to figure out what you're supposed to do. Frankly, it's pretty much broken, and I can't think of a RPG off the top of my head that has a worse quest log. Would it have killed them to write down where the NPC is from or to provide simple directions to a location? This mechanic is particularly bad in conjunction with the miscellaneous quests. "Return to So-and-so." Who? Where is he? What quest is this related to? I don't remember because I've been playing for over 200 hours. Writing a few lines of text is the epitome of a trivial fix. The fact that the journal was considered 'okay' by Bethesda just defies reason. Easy fix: Make journal entries longer and more detailed. Here's your bonus fix, number 11. Easy fix: Sort items in containers into smaller, alphabetized sub-categories. Sheesh. There you have it: eleven simple fixes that would have vastly improved my experience of the game and given me much less to complain about. 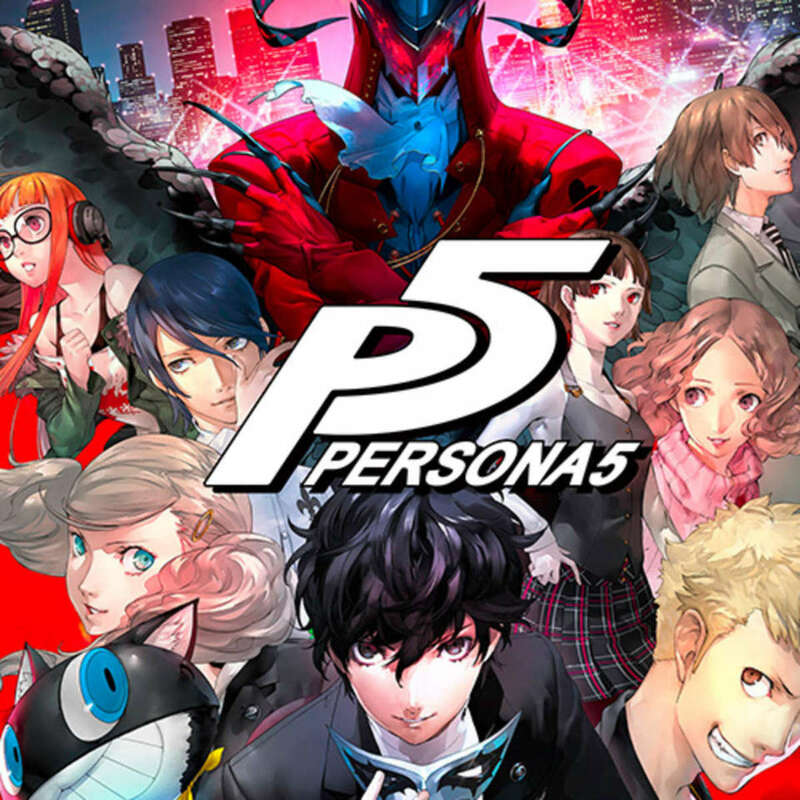 No overhauls, no radical redesigns, no fancy new mechanics, just a couple of stat tweaks, new multipliers, simple quests, and a few lines of voiced dialogue. The kind of stuff that could have been done in a week by junior developers. Like most players, I could have added a lot of other things to the list but these are simple tweaks that would have gone a long way toward improving most player's experience of the game. Reading this list, you might think I hate this game. Nothing could be further from the truth. I love it. I've put hundreds of hours into it. But when you spend this much time with a game you really begin to wonder about the little things. Was that missing feature a mistake, a victim of the production schedule, or a bad design decision? I don't know, but I sure wish they'd included a few of the little things mentioned here. I feel your pain when talking about wrinkles. 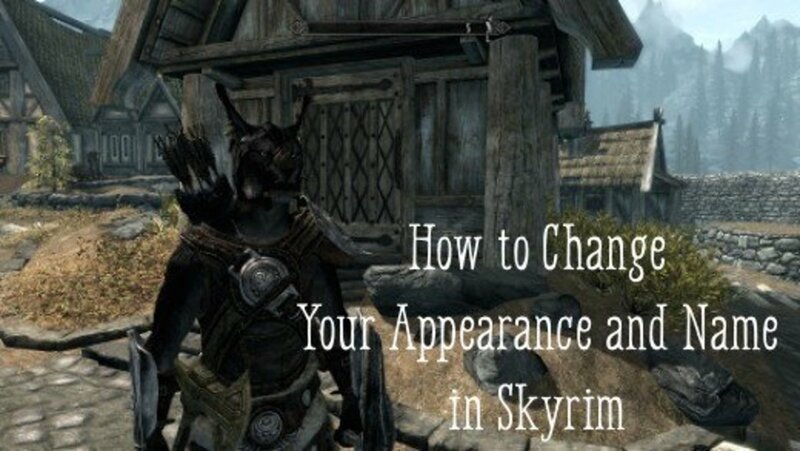 I just started a new game as a Dunmer and had to look up a YouTube tutorial so she wouldn't be hideous. I was always a Dunmer in Oblivion and she could turn out cute with little effort. I guess Howard's plan worked with the horses because I rarely use them in Skyrim, aside from Shadowmere. I was always reluctant to invest gold in them only to have them run away or die soon after. There was a neat trick with Shadowmere in Oblivion where you could "kill" the horse, fill it up with gear too heavy to carry, then wait for him to wake up again so you had free, portable storage wherever you went. I just use Mjoll for that now, though there is a limit with her. 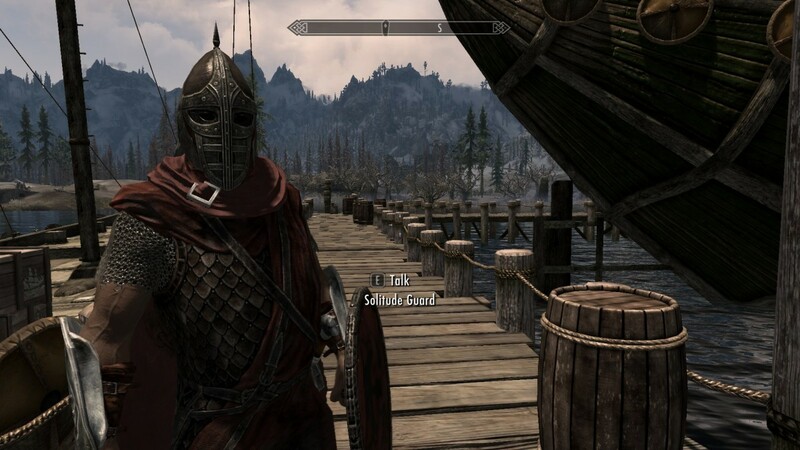 Hopefully, Bethesda will figure out the problems you highlighted and sort them out in time for The Elder Scrolls VI. Though with the catastrophic failure of Fallout 76, we might be waiting a while for a release date. Smithing and magic are the two worst offenders in my book. An option to remarry would be welcome as well. I'm not saying to make a divorce option (because that would probably upset some people) but I'm sure many widows or widowers in Skyrim would love this option. I think this would also be a quick and easy fix, not to mention it's lore friendly. I think part of the problem is that they underestimate the range and variety of interests that players have, and their degree of investment. If you let players create their own characters, they want to be able to create ANY character. If you let them marry characters, they want to be able to marry ANY character. If you give them a horse, make sure it's a damn good horse, not just a different walking animation. A lot of the complaints that players had were over simple things that wouldn't have been expensive or time-consuming to add. Things that got left out because the devs thought that what they had was good enough. Skyrim is a very good game, but it could have been a great game with just a little bit more polish. Let's hope they keep the good stuff coming in updates and DLC. Tbh, I've never been so impressed with a company's post-release efforts. Funny how you mention that you don't need mounted combat, but now we have it. You should work for Bethesda my friend. I have read most of your articles and you understand gamers better than the game designers themselves. @Obsidian: Let's hope they keep fixing the game. They've already added a few things requested by the community, so we can at least hope for a brighter future. Tbh, I'm pretty impressed with how much they've improved the game since it's release. Most companies don't do a whole lot. Thanks for reading. @Kyricus: Yeah, horses are a huge disappointment. I could have spent a lot more time talking about them than I did. I've bought two horses: both of them died the first time I took them out because A. everything attacked the horses instead of me, and B. because the horse fought back instead of running away. If you're not going to do horse combat, don't make them stick around for fights. The whole design just feels wrong from start to finish. They look nice, though. I totally agree with the horse issues you mention. I especially love how the Mage you gain as a follower (I forget his name) specifically says he's not a pack mule when you ask him to carry stuff, but, sorry bud, you have to be my pack mule because my horse is to lazy to carry anything but me! And why oh why oh why does that stupid horse have to attack everything? They are so stupid it's almost funny.